Anchor was designed to focus on the visitor. A large "new here" action button lets the visitor know you have them in mind. Featuring a bold logo and navigation strip, the full-width parallax banner image (or video) grabs attention while providing helpful visitor information and directions. 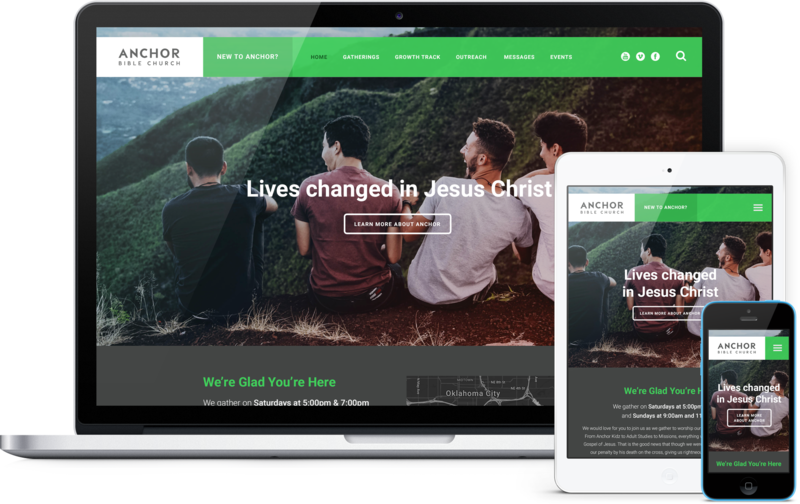 Further down the page are three quicklinks, upcoming events, and the latest sermon. 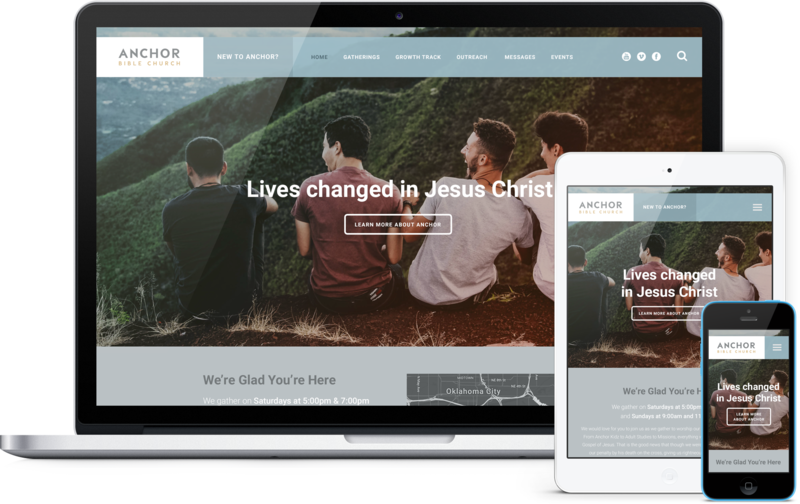 Anchor is an excellent choice for any ministry who wants to quickly engage their visitors and promote their church happenings in a simple and graphically balanced layout. © 2019 Church Plant Media LLC. All Rights Reserved.